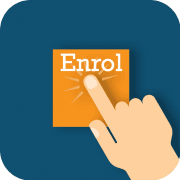 Which e-Learning course is right for you? When you’re looking for a higher-level course to support a developing career in Health and Safety management, options available from SHEilds at diploma level may present some confusion. 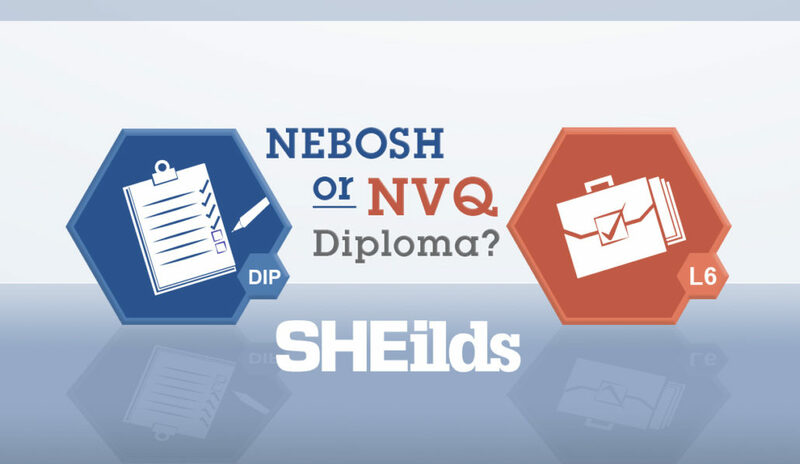 Besides offering a NEBOSH National/International Diploma in OHS our course library also includes a NVQ Level 6 Diploma in OHS. Both of these courses are aimed at Health & Safety practitioners who have overall responsibility or involvement in the management of occupational Health and Safety within the workplace. Applicable industries range from manufacturing plants to care homes to theme parks or construction. With both respective qualifications being intended to support the same field of management at the same level, it’s not unusual to wonder; which e-Learning course is right for you? Similar to how we did some years ago for NVQ Level 5 (since superseded by the NVQ Level 6) we’ve created a simple infographic to outline the major differences between the two types of diploma, helping our advanced students decide which course is right for their career path. So, how do the basic traits of the courses compare? Taking a closer look at the individual qualification requirements and benefits, there are further differences in the minutiae of each course. A potential draw back many will find though is that candidates must successfully complete three compulsory written exams and one practical assessment to be successfully awarded the NEBOSH Diploma. Typically, as you might expect at Level 6 this can be quite a challenge, even for experienced Health and Safety practitioners. Contrastingly, the NVQ Level 6 Diploma is a course with a hands-on approach. 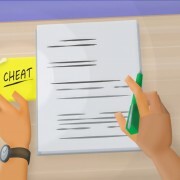 No exams are taken with it being effectively 100% online; candidates can become qualified in their own workplace within 24 months following registration, by preparing reflective accounts, gathering work-based evidence, completing an observation and undertaking professional discussions with their named assessor via video calling such as Skype. 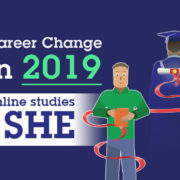 The challenges with the NVQ course arise from the requirement for candidates to submit work regularly in line with the unit of study requirements, the ultimate aim being to achieve a portfolio of online evidence to be assessed against the set standardisation of units of study. This is candidate driven and so you chose when to study and how much you want to complete at any set time. You must be organised and disciplined with the availability to evidence which supports what you have written in your reflective accounts. 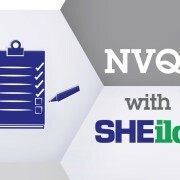 Perhaps the most appealing aspect of the NVQ course is that students don’t have any formal written exams to successfully complete in order to become qualified. Instead, it is assessed on how strong the candidate’s online portfolio is, being populated with work-based evidence. It is assessed against set criteria of compulsory NVQ units which are knowledge and practically based. Thus, candidates who come from a hands-on pragmatic background would benefit from completing this qualification, particularly to achieve GradIOSH membership moving onto IPD and Chartership. Workbooks are completed alongside the units, which will assist in developing skills of self-reflection, identifying strengths and weaknesses as a practitioner, planning to develop areas of weakness and how to maintain your knowledge and experience in health and safety. This assists the candidate beyond the qualification and their future career. Taking my own career development as an example; I completed a BSC in Chemistry with Analytical Chemistry and Toxicology. I had up to this point been an academic student, graduating in 2005. Several years later my career took a change in direction and I started to work for a training provider as a facility/building manager. To assist with my work role, I was advised to undertake NVQ L3 in Occupational Health and Safety. At this point, I followed Health and Safety and didn’t necessarily set up management audits, schedules, etc. This course was valuable to me, as it allowed me to develop my role, but learnt at the same time, with the support of an experienced assessor. I did not have to take time away from my workplace and the course allowed me to study whilst I was completing tasks there, generating quality evidence for my portfolio. I found the experience refreshing and not so stressful as preparing for exams. I have also met in my career, many people who have completed the NEBOSH General Certificate as their first step into a health and safety profession. Both these routes are an effective way of embedding underpinning knowledge required for diploma/NVQ level 6 studies. Following completion of the NVQ course, I enrolled on the old version of the OCR NVQ level 4 (NEBOSH Diploma Equivalent) course of study. This was a natural progression up the scale to achieve. My career took another turn and I became an assessor/IQA and classroom tutor. So, this was not completed, and I became specialised in chemical, construction and warehousing/dock industries. Several years later, I have found myself undertaking the Level 5 NVQ diploma as well as assessing and producing materials for the new Level 6 NVQ. Personally, I have found this to be very rewarding, as I have gained first class experience working with all levels of management and front-line supervision as well as the site operatives carrying out their daily tasks, from small businesses to International Corporates. I have developed skills which I can now pass on to candidates and assist them to achieve their career goals as well as having the knowledge to support and advise local businesses with their Health and Safety management systems. The latter is just one example of possible career progression through these qualifications but should hopefully provide an outline of how you might approach professional development.